Aunty Marlena keeps on finding new links to womanless events on the Internet. 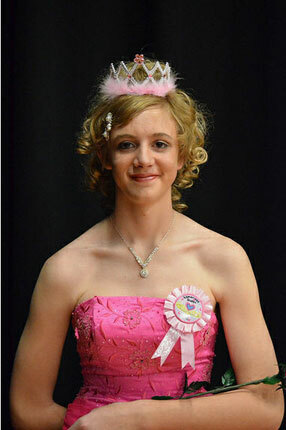 The February 10 Womanless Beauty Pageant at County Line High School in Ratcliff, AR is the pick of the week this week. Some of the "girls" looked great -- others, not so much. The girls that put the most effort into their femulations looked lovely, and some of the gowns were quite beautiful. A few of the boys seemed to really enjoy being girls (we can certainly relate to that). Stana, years ago I read (don't remember where or in what context) about a town in New England that supposedly had one day (or possibly week) each year where nearly everybody in the town crossdressed. From my vague memory of the article (in print, since I read it in the pre-Internet days), the article was "supposed" to be true. Of course, it sounds like it may just have been the author's fantasy. Have you ever heard about this New England town? If the article were true, you and the rest of your readers would have a new favorite vacation spot. I am aware of Fantasia Fair in Provincetown, MA, but that is not the town mentioned in the article. From memory, the article sounded like the entire-town crossdressing was a tradition, and applied to all the residents (not just the transgendered folks). I guess the article was probably just a fantasy, but who knows? What do you think? She appears to be enjoying herself! She is absolutely lovely and I can see her shopping for shoes now! Thanks, Stana. I agree. There is something about her.